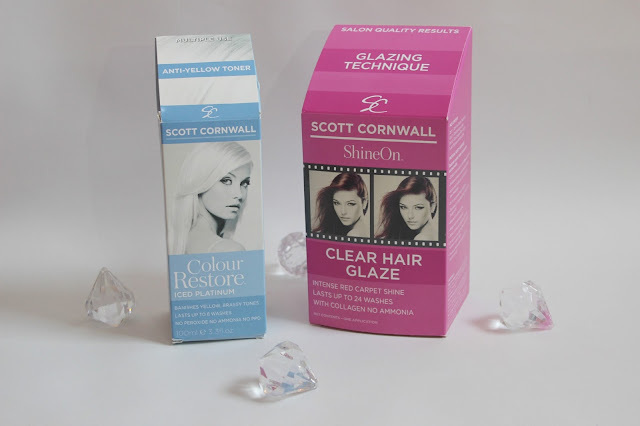 Scott Cornwall is a hair care brand that is available online via our local UK drugstores such as Boots, Superdrug etc. You can also buy these products off of Amazon. 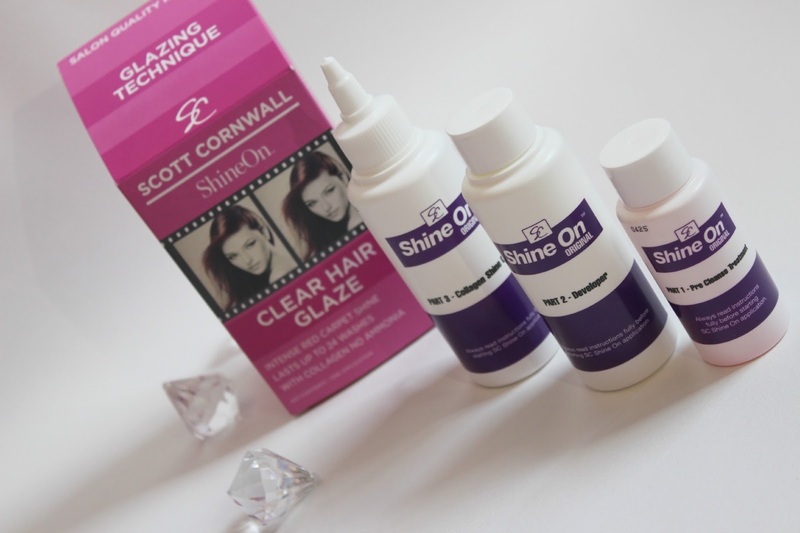 This range aims at enchansing your hair colour and removing those old colours that you no longer want. Now if you're anything like me and you've had your hair every single colour under the sun and you're all for trying a new hair treatment, you'll know just how excited I was to try out these new products. Now anybody with blonde hair will understand just how hard it is to get the perfect blonde hair. We all want that perfect white blonde and never want our freshly dyed hair hair to appear ginger or have an awful brassy/yellow tinge to it. 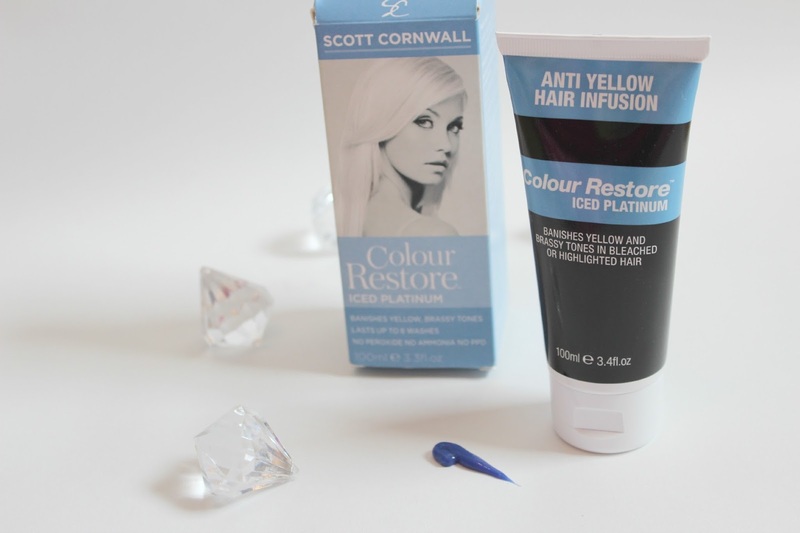 What the Scott Cornwall Colour Restore in Ice Platinum does is tones your hair, so you can say goodbye to that awful yellow, brassy hair and say hello to your new white platinum locks. Now if you're reading this and thinking, but I don't have blonde hair? Don't worry Scott Cornwall also comes in Cool Ash, Chocolate, Warm Honey and Deep Red. What I also love about this product is that you can use it as an intense toner treatment for 20-25 minutes or you can use it as an everyday condition and you'd only have to leave it on a couple of minutes and a little goes a long way so you'd get several goes out of this bottle. Before we start you should ALWAYS make sure you do a skin test before going ahead with any hair product. This one takes 48 hours, but it's well worth the wait (trust me I've had a reaction before). Also make sure you wear gloves, old clothes or protect yourself with a towel as you may stain your clothes. Step 1 - Wash your hair with a clarifying, clear or baby shampoo do not use conditioner and then towel dry your hair. So after you've towel dried your hair squeeze a small amount of the toner into your hand and smooth evenly all over. Then you should comb through your hair for the first 5 minutes and then leave the hair to develop. This should take a further 20 minutes. Step 3 - Rinse off your hair using luke warm water (not hot) do this until your water is running clear again. You won't need to condition your hair after applying this toner as it is also a conditioning treatment. I honestly couldn't believe the results after using this product. I didn't expect much as I've just got a dull set of highlights, but it's brightened up my hair so much! This stuff is AMAZING! Now years ago I had the lightest, silver hair you could possibly wish for, but eventually my hair ended up being damaged and I had no option but to dye my hair dark. Now this was my fault because I was having my hair double coloured as I couldn't find a toner that worked without damaging my hair. Now if I would of had this product back then I don't think my hair would of been half as bad as it was. 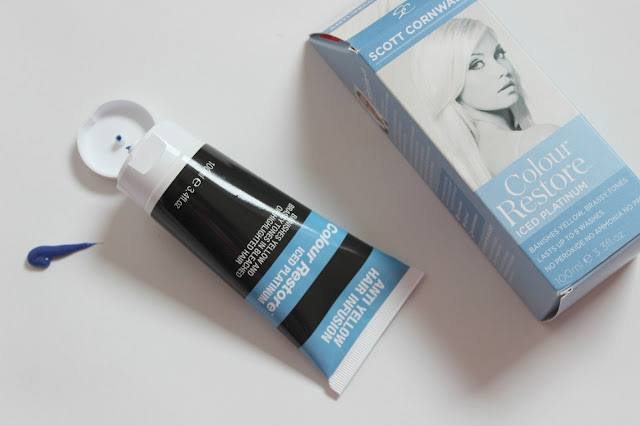 If you have blonde hair that needs toning then you definitely need this product in your life! It's one doll of a toner! Now not only did the product tone my hair, but it also left my hair feeling so soft,and it got rid of my daily frizz. Hallelujah! Tip: when combing through your hair use a wide tooth comb, especially those of your with curly, frizzy hair. Scott Cornwall Shine On Hair Glaze is a hair conditioning treatment that may last in your hair for up to 24 washes, how amazing is that? I love these kind of treatments (so long as they aren't too heavy on the hair). 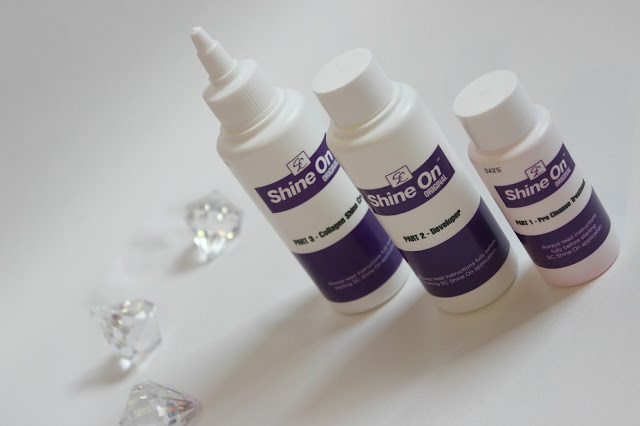 Shine on is suitable for all hair types and hair colours, including bleached and grey hair. As the products in this box set don't contain any ammonia or harsh chemicals and only uses a mild developer for increasing the hairs hydration and to protect against hair cortex. Now this box set comes with 3 separate hair products, which also includes gloves, instructions and it will only take you 20 minutes to achieve the 'desired look'. The same again with this product, just like I mentioned above. You should ALWAYS make sure you do a skin test before going ahead with any hair product. This one takes 48 hours, but it's well worth the wait (trust me I've had a reaction before). Also make sure you wear gloves, old clothes or protect yourself with a towel as you may stain your clothes. 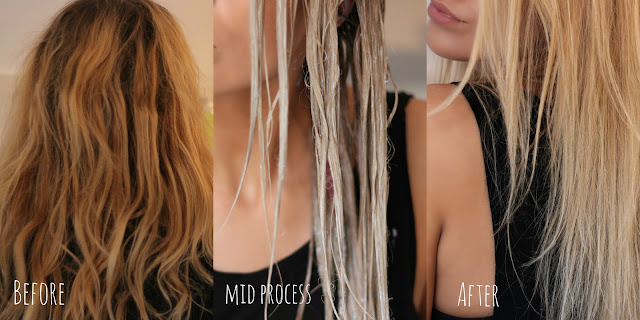 Step 2 - Place a small amout of the pre cleansing treatment into your hands and work through the hair and then rinse thoroughly (this will get rid of any previous products such as shampoo, conditioner, styling products, dry shampoo etc.). Lightly towel dry the hair and apply a second amount of the pre cleansing treatment, lather and comb through your hair for about 2-3 minutes and then rinse off the hair and then lightly towel dry the hair. 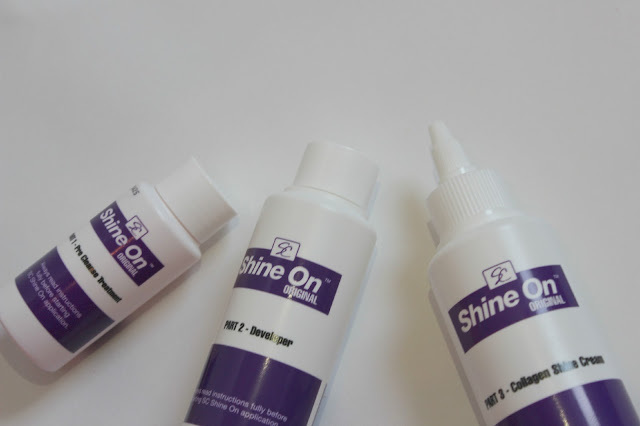 Step 1 - Unscrew applicator nozzle on part 3 Collagen shine cream, pour all of part 2 developer into the part 3 bottle, replace nozzle and screw tightly. Gently shake the bottle for about a minute to make sure every things mixed together. 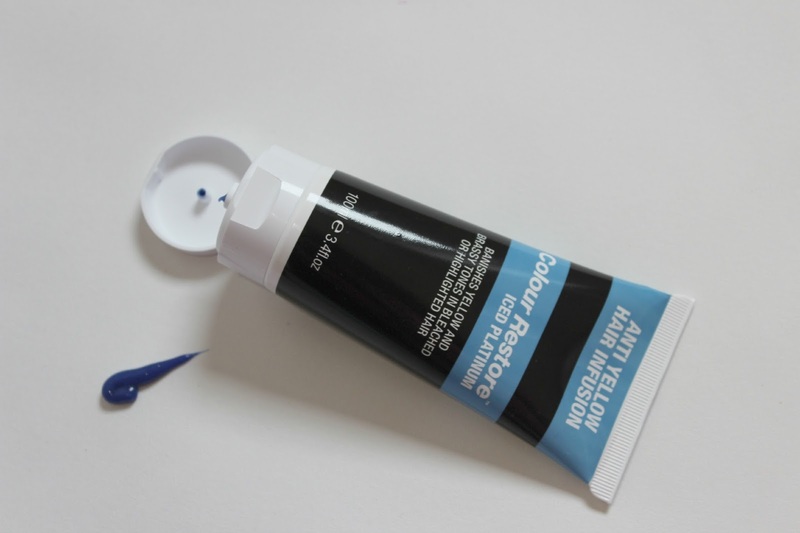 Step 2 - Apply cream directly onto damp hair starting at the mid-lengths and ends of the hair and then gently comb through. Make sure you leave a very small amount in the bottle for later on. Step 4 - Before rinsing, apply the rest of the bottle to the hair and leave on for 1 minute. Then using luke warm water gently run the water through the hair to clear and of the creams residue (for about 3 minutes). Step 5 - For best results you can blow dry, straighten to complete the treatment and have the full effect. (using straighteners shuts the cuticle and encloses the crystal clear molecules inside the hair). Don't wash your hair for 48 hours for best results! I would recommend this to anyone with lifeless, dull hair to help regain that glossy shine that your hairs been missing out on. I haven't washed my hair 24 times yet, but it has lasted in my hair the 5-6 times that I have washed it. The fact that it's tames my frizz is a big bonus! (anyone that suffers with a daily frizz will get me) ha. So yeah it's definitely worth a try, I mean we all have different hair types and different hair conditions, so it's never going to work the same on everyone, but I hope you enjoy using this product as much as I did. What treatments do you like to use on your hair?